Network Signal Repeater for Maxis, Digi, Celcom, U Mobile, Singtel, Starhub, M1 2G network and all Malaysia and Singapore 3G network. The SR-GW60 / SR-GW70 Dual Band Network Signal Repeater captures and boosts a weak mobile signal through a Panel or high gain log periodic antenna and amplifier. 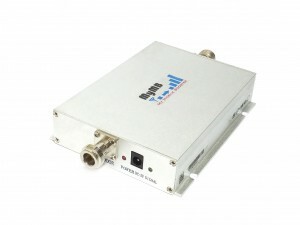 This dual band network signal repeater can boost coverage for areas up to 300 square meters. The SR-GW60 / SR-GW70 Dual band repeater improve All Telco 3G network as well as Maxis/Celcom 2G network, and provides signal coverage for your home, office, warehouse or facility. SR-GW60 / SR-GW70 dual band network signal repeater package include everything you need to increase signal strength and avoid dropped calls. Improve Voice Communication for Maxis, Celcom, U Mobile, Singtel and M1 2G network and 3G data communication for all Malaysia and Singapore 3G network. Panel Antenna – Ideal for most properties with acceptable outdoor signal. Suitable to mount on pole, concrete wall, wood, or window railing. What is Signal Strength Indicator? The signal strength indicator light is totally 3 lights, they indicates signal strength as: 0dBm, +5dBm, +10dBm, no matter which frequency’s signal strength reach one of them, that light will be on. The light color is yellow (0dBm), green (5dBm), blue (10dBm). The signal strength indicator help user to adjust the direction of outdoor antenna.